In the early years of my turning, I got most of my wood from fallen trees. Wood from two trees of the same species can yield completely different variations in the wood because of spalting, streaking, burls, and insect damage. This uniqueness of wood surprises and amazes me by the character it reveals in the finished vessel. I still enjoy working with “found wood”. It is always thrilling to begin with a plain, perhaps ugly wood block and end up with a one-of-a-kind turning. More recently, however, I am intrigued with creating images on finished pieces of kiln dried wood by incorporating inlays of minerals and crystals. 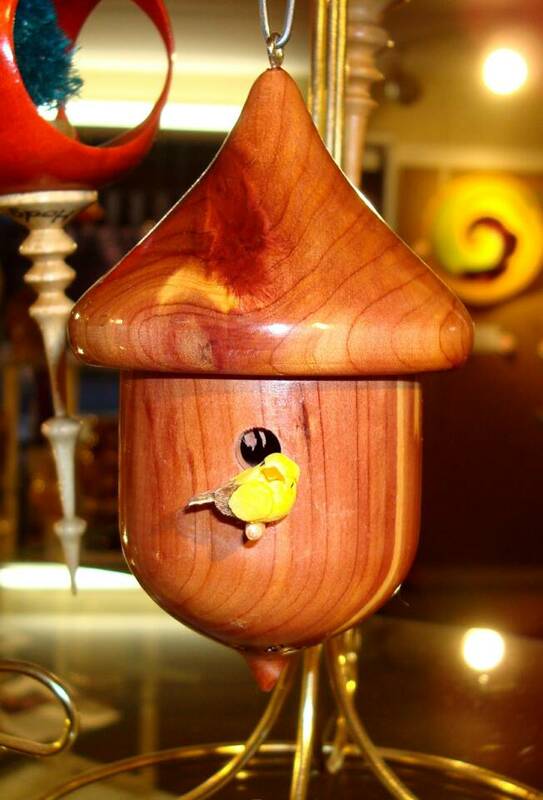 I find this type of turning challenges my wood working skills and opens the door to greater creativity. I have enjoyed working with wood since my high school days in Mississippi many years ago. 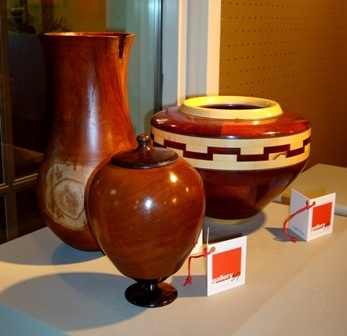 I became intrigued with woodturning when a friend, Rhodes Batson, introduced me to it in 1985. I am mostly a self-taught turner. I acquired my first lathe, a General 160, in late 1985, and immediately began turning a variety of simple forms from fire wood and blocks cut from fallen trees. After retiring in 2004, I became much more serious about my work and purchased a more versatile Powermatic 3520 lathe. Soon after, I ventured into segmented woodturning. In March 2009, I attended a workshop at Arrowmont School of Arts and Crafts at Gatlinburg, TN taught by Stephen Hatcher where I learned mineral and crystals inlaying. I have been excited about this, and now I am devoting more time to this procedure. However, I still enjoy turning a variety of vessels, from Christmas ornaments to segmented and mineral and crystal inlay. I have donated numerous pieces to non-profit organizations for their fund raising efforts. In 2009 I entered a “no inlay” 20 inch platter in the NC Senior Games, Silver Arts division, on the local level at Shelby, NC, winning first place. The platter was awarded a gold medal at the NC Senior Games Finals at Raleigh, NC. In 2010, I entered a mineral and crystals inlayed platters in the same events winning first place at Shelby and the gold metal at Raleigh. Woodturning makes my retirement years challenging and enjoyable. I am continually amazed at what the wood reveals. 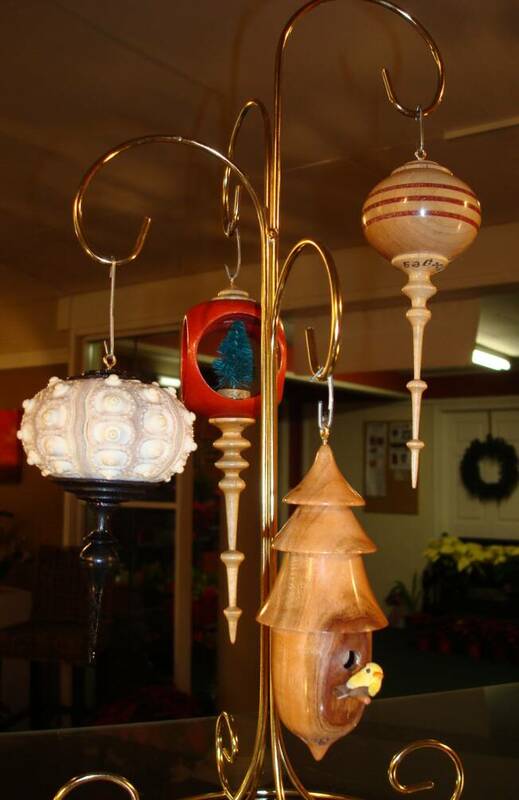 I am a member of and support the North Carolina Woodturners Association and the American Woodturners Association.